The jaw-dropping scenery and natural wonder of Southern Italy’s Amalfi Coast make it a popular destination for visitors from all over the world. Its proximity to Naples, Pompeii and Vesuvius offers tourists the perfect opportunity to learn about the region’s historical significance while exploring its scenic landscape. 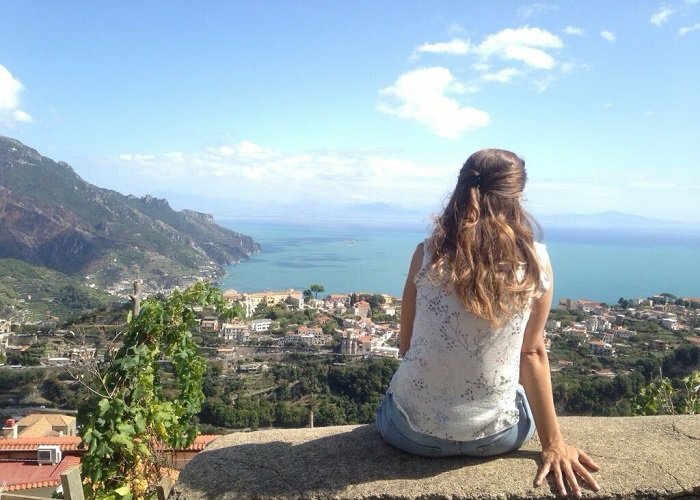 Exploring the Amalfi Coast may be a daunting task for those unfamiliar with the area. 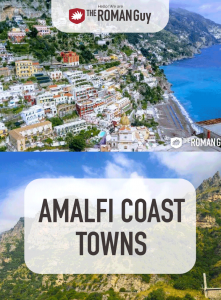 This breakdown of Amalfi Coast towns is your guide to all that there is to see in this Southern Italian paradise. 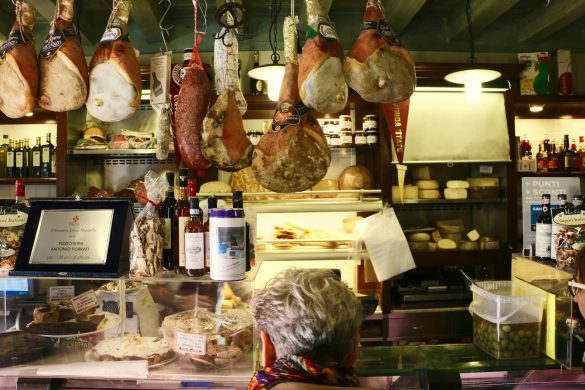 At The Roman Guy, we want your trip to Italy to be both informative and unforgettable. We love Italy and want you to share the same admiration. Experience the storied history of Pompeii and Vesuvius while soaking in the warm sunshine and the gorgeous scenery of the Amalfi Coast. We offer a Day Trip from Rome to Pompeii, Vesuvius and a scenic drive to the town of Sorrento. 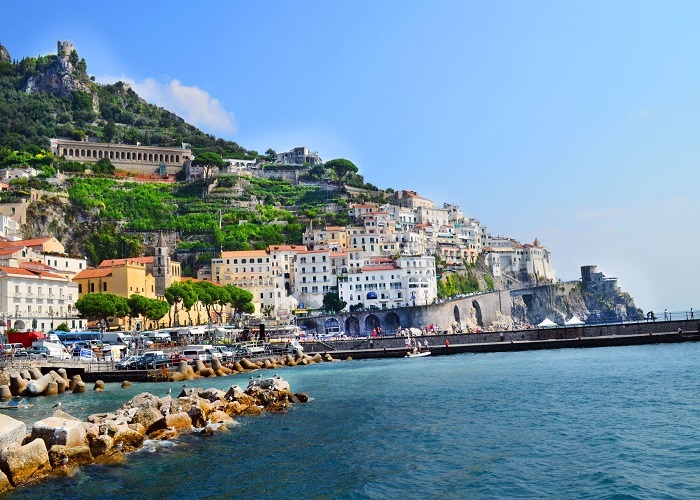 Where is the Amalfi Coast Located? The Amalfi Coast is located in Southern Italy between the Gulf of Naples and the Gulf of Salerno in the Province of Salerno. The region is a 1.5-hour drive to the south from Naples, the closest big city. With Pompeii only an hour’s drive to the north, visitors to the Amalfi Coast are remiss not to experience Mount Vesuvius and the history of the ancient city. What is the Amalfi Coast Known For? The picturesque Amalfi Coast rests on steep cliffs overlooking the Tyrrhenian Sea. The scenic view of the Tyrrhenian Sea is matched only by the views of its many towns from the water. 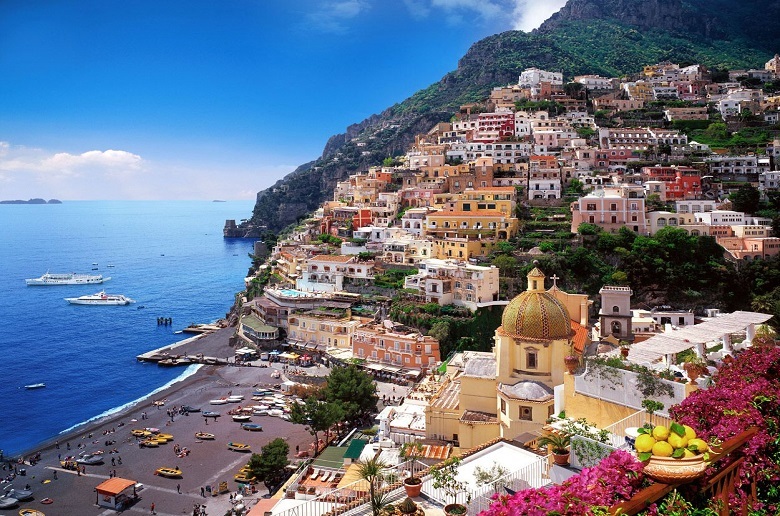 Towns such as Salerno, Positano and Amalfi rest on cliffs and lush green scenery situated above sand beaches. The Amalfi Coast’s green scenery lends itself to the region’s production of lemons grown in terraced gardens, making it the leading exporter of limoncello, Italy’s second most popular liqueur. The Amalfi Coast also produces local alici anchovies and a thick paper known as bambagina which has been produced in the region since the Middle Ages. What Are the Best Amalfi Coast Towns to Visit? One visit to the Amalfi Coast and you’ll understand why the region is one of UNESCO’s World Heritage Sites. The cobalt blue of the Tyrrhenian Sea blends with the beaches, valleys, cliffs and terraces to paint a vivid image of the Amalfi Coast’s visual splendor. Visitors to the Amalfi Coast will enjoy the many towns that comprise the region. Each town offers a glimpse into the unique culture and history of the Amalfi Coast. Sorrento is located just south of Pompeii overlooking the Bay of Naples. 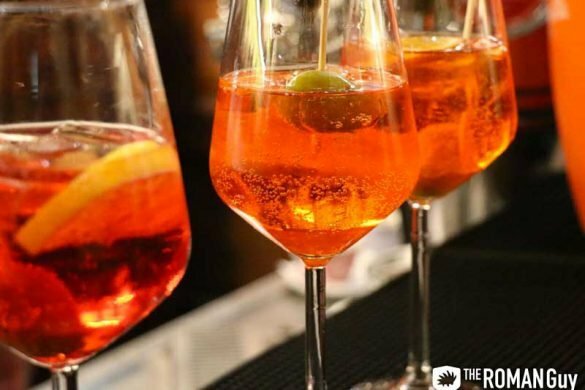 This popular destination is home to an array of antique shops as well as the production of limoncello. Visitors will enjoy the artisan ceramics, woodwork and lacework offered in Sorrento’s many small shops. The town’s luxury hotels resting on cliffs overlooking the seas make it a popular vacation destination for celebrities and authors, both past and present. For those looking to experience Sorrento, our day trip from Rome features a visit to Sorrento in a climate-controlled luxury vehicle. 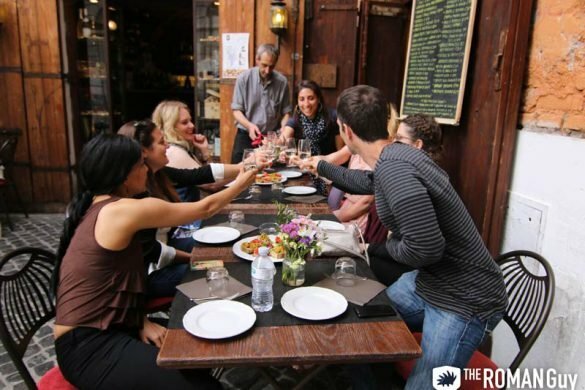 You’ll learn about the history of Pompeii and venture south to enjoy Sorrento’s many sights, sounds and flavors. Positano’s mild climate and beautiful scenery make it the Amalfi Coast’s quintessential holiday resort town. This historical port town was crucial to ancient Greek and Phoenician sailors during their westward expeditions. Positano has functioned as a popular vacation destination since the times of the Ancient Roman Empire. Aside from its popular beach, Positano is home to the church of Santa Maria Assunta with its tiled dome and Byzantine artwork. The Amalfi Coast’s namesake, Amalfi is also the region’s main town. Amalfi is known for its production of Limoncello and its historic papermaking tradition. Aside from its beaches and hotels, Amalfi is home to the Amalfi Cathedral, a medieval Roman Catholic cathedral dedicated to Saint Andrew. The cathedral boasts a combined Romanesque, Baroque and Rococo architectural style and sits in Amalfi’s central plaza the Piazza del Duomo. Amalfi is also home to the Museum of Handmade Paper and the Chiostro del Paradiso, the burial grounds for the region’s noble families. Ravello is a town further east and slightly inland from Amalfi. Located approximately 350 meters above the shore, Ravello boasts elegant villas, gardens and intoxicating panoramic views. Villa Rufolo and Villa Cimbrone are Ravello’s two main viewpoints. Many artists, musicians and authors including Richard Wagner, M.C. Escher, Truman Capote and Tennessee Williams visited Ravello regularly, drawing inspiration from its lush scenery. The historic fishing village of Maiori sits just east of Ravello. Despite being one of the lesser-known Amalfi Coast towns, Maiori boasts an array of significant cultural sites including the Collegiate Church of Santa Maria a Mare, the Castle of San Nicola and the Norman Tower. Maiori also hosts an annual film festival in November which awards the Premio Internazionale Roberto Rossellini. Maiori’s beaches boast surreal views of medieval towers resting above cobalt blue and seafoam waves. For beach lovers, The Amalfi Coast is the best way to experience Italy’s gorgeous scenery while enjoying a beach holiday. Easily accessible by road, train or ferry, the Amalfi Coast towns comprise some of the most desired vacation experiences in Italy. With private transfers to the Amalfi Coast from Rome and private tours of Sorrento from Pompeii, The Roman Guy will make your visit to Italy’s enchanting seaside region one that will stay fresh in your mind for years to come.